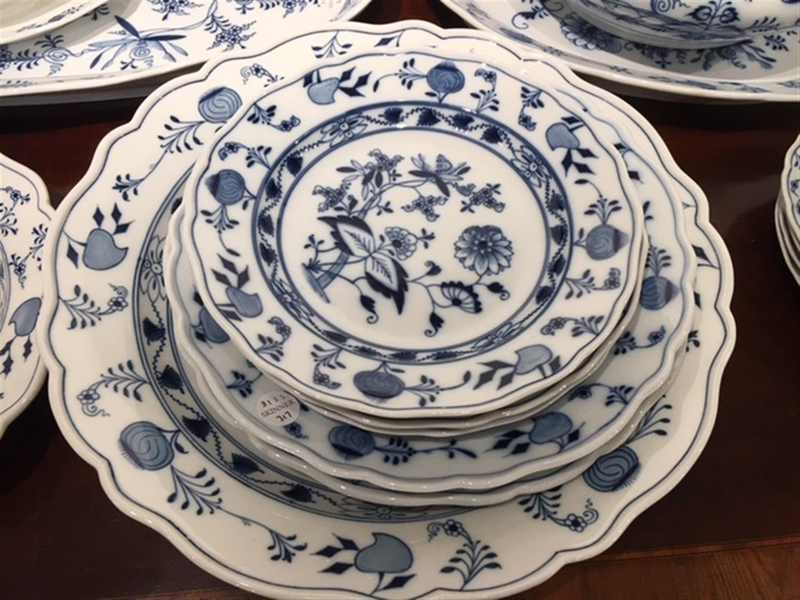 Fifty-nine-piece Meissen "Blue Onion" Pattern Porcelain Dinner Service, Germany, late 19th/early 20th century, white ground with blue floral and vine motif, maker's marks, sixteen dinner plates, dia. 9 1/2, sixteen dessert/salad plates, dia. 7 1/2, eight bread and butter plates, dia. 6, eight side dishes, dia. 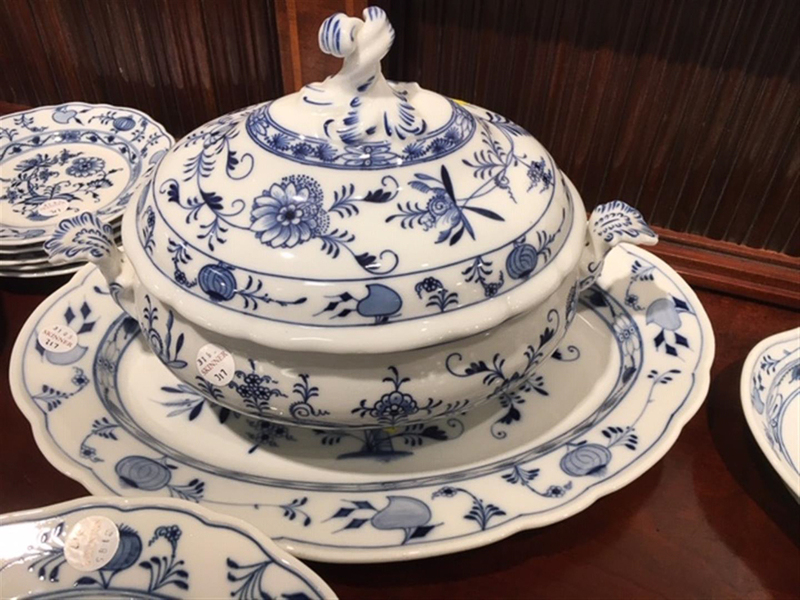 5, two covered tureens, ht. 9 1/4, three round serving platters, dia. 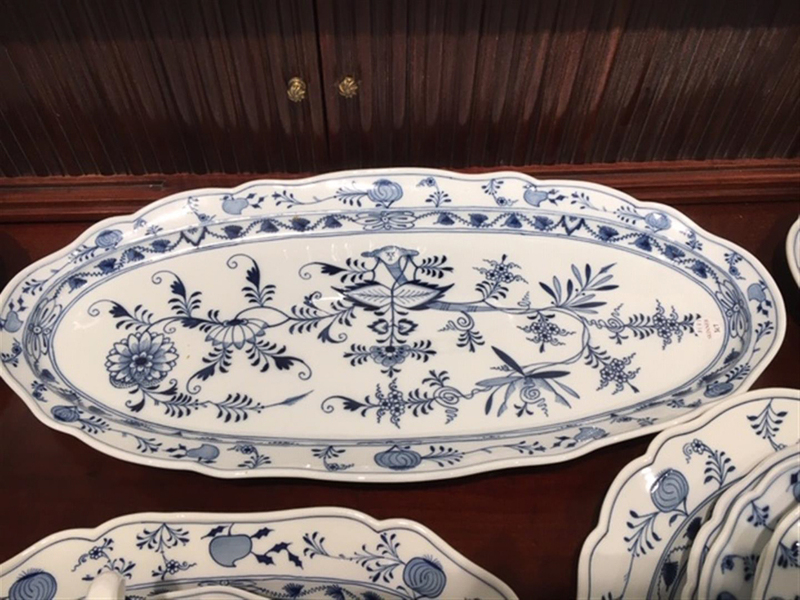 12 1/4 to 15 3/4, two oval serving platters, lg. 17 1/4, a rectangular serving platter, lg. 15 1/2, a fish serving platter, lg. 23 3/4, a server with handles, lg. 10 1/2, and a sauceboat with integrated stand, lg. 10 in. No visible damage or repairs. Assembled service, most having a first quality crossed swords mark, some having the word "Meissen" within an oval.